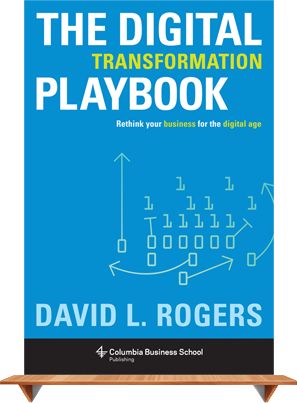 As the adoption of social media, mobile computing and new digital behaviors continues to deepen, businesses today are faced with the challenge of rethinking many of their basic strategic paradigms. In thinking about customers, businesses are facing a shift from a paradigm of individual customers to one of customer networks. At the same time, many models for marketing need to be updated as well. One of the oldest and most widely adopted marketing models is the “marketing funnel.” This model, based on psychological “hierarchy of effects” theory dating to the early 20th Century, plots marketing as a sequence of psychological states in the mind of a the customer: from Awareness (of the product category) to Consideration (thinking about a purchase), to Preference (for a specific model or brand), to Action (making the actual purchase). More recently, as the importance of customer retention to a company’s value became better understood, a fifth stage has been added: Loyalty. The funnel’s shape arises as each of the five stages is depicted as narrower than the last, indicating a smaller subset of customers (e.g., more people are aware of a product than consider purchasing it). For years, marketers have harnessed a traditional set of tools to marshal their target customers through each psychological stage. These tools were traditionally all broadcast media: TV ads might drive awareness, a direct mail piece stressing product features might drive consideration… all the way to a rewards points card whose regular reminders were sent to instill customer loyalty. Awareness. The 2011 Edelman Trust Barometer study revealed for the first time that search engines have become the first source of trusted information for today’s customers, ahead of any traditional media brands. Search results, then, including content on non-traditional media like blogs, are now critical in the first stage of the funnel where awareness is created. Consideration. As customers actively consider a purchase, they increasingly take an active role in researching it online. As they do so, they are often influenced by product reviews posted by other customers on sites like Amazon.com. Studies by Nielsen and others have shown that product reviews by strangers are among the most trusted sources of product information. Preference. Before making a choice of a specific brand, customers often turn to their friends online as well. Brand attachments are increasingly formed, and shared, in social media platforms like YouTube, Facebook and Twitter. Local search (whether via Google, or Yelp or Urbanspoon) is influential too, as customers seek not just what is desirable, but what is nearest by. Action. When purchase does happen, it may not just be in a store, but done online via PC, smartphone or tablet (as e-tailers rush to create ever more enticing catalog apps for the iPad and others). Purchase may also be driven by social action, thanks to social discount services like Groupon. Loyalty. Once a customer is won, social media allows far more options than just loyalty cards for keeping in touch with them and driving repeat purchase. Today’s customer relationship management (CRM) spans database-driven emails, Facebook fans, Twitter followers, and private online communities for premium customers. Digital media also allow for much more customized interactions, communications, and offers to drive add-on selling and loyalty. The biggest change to the marketing funnel, however, is in the addition of a new, sixth stage: Advocacy. Today, the most ardent and engaged of your customers not only make repeat purchases (loyalty), they take on the role of brand advocates and spread their own positive messages and testimony about your business online. This advocacy, in turn, feeds back into the customer network effects from the very top down through each stage of the funnel—showing up in search results, product reviews, Facebook “likes,” links, retweets, and social buzz. The challenge for today’s marketers, then, is not to throw out the old funnel paradigm. (The validity of its psychological model has not changed amidst today’s technology.) Rather, marketers must continue to employ broadcast marketing tools where they are still effective, while learning to deploy, inspire, measure, and nurture the kind of communications and advocacy in customer networks that drive marketing through all six stages of the funnel. That may sound like a daunting challenge, but it’s the only path to strong, valuable customer relationships in our digital age. This article originally appeared on Cisco’s technology news site The Network here.